For a concrete pad or slab, BedRock Siteworks brings your site to a level grade. Concrete foundations are strong, durable, and the best solution for horse barns, pole barns, garages, cabins, and sun porches. The type of foundation that’s best for your situation depends on the type of building that you’re installing. We work with you to determine which of the concrete foundation options best meets your budget and is best for the characteristics of your site. For sloped area’s a retaining wall may be needed to extend the level area. 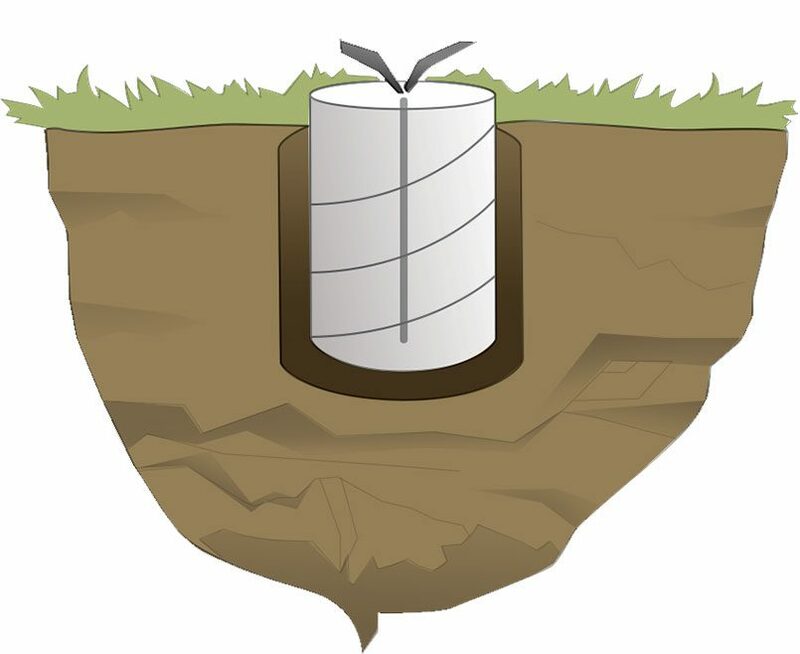 There are four types of concrete foundation designs: the Gibraltar, concrete pillars, floating slab, and graduated slab. Feel free to contact us for guidance through the process regarding specific detail’s on which foundation design may be best for your situation. 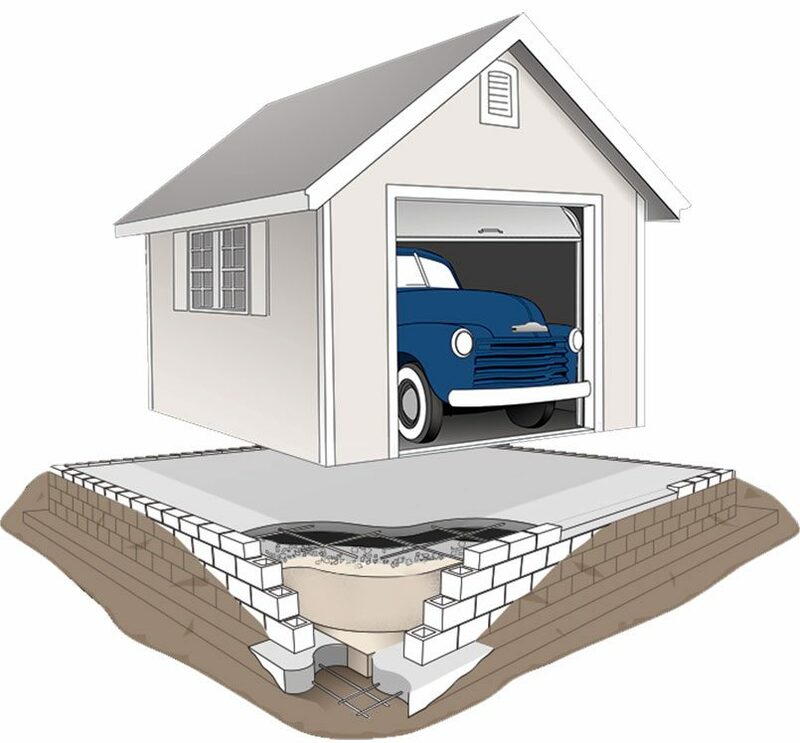 Gibraltar concrete foundation used for a garage. Firstly, we excavate the site. Then build a trench 24” wide X 36” deep that goes below the frost line. Afterwards a 24” x 8″ depth footer reinforced with rebar is added. Cement walls are poured, that are built up to 6″ above grade. 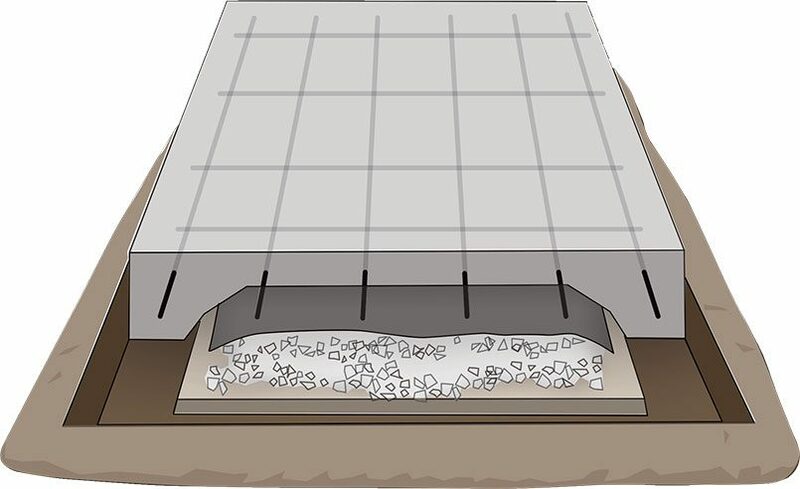 Then installation of a 4″ gravel base for drainage, a vapor barrier to eliminate moisture and rebar is dialed into the cement wall for maximum strength. Lastly a concrete pad is poured and finished. Concrete pillars used to anchor a structure like a pole barn. First we excavate the site and dig holes 32″ to 36″ deep, by 16″ to 24″ diameter. A tube form is placed into the hole, rebar is inserted into forms for strength and then a concrete pour. Metal strapping is installed to finish off the pour and solidify the product. Some townships require horse barns to rest on concrete pillars. A floating concrete slab used as a foundation for a shed or other structure. We excavate the site and install a 4″ gravel base for drainage and a vapor barrier to eliminate moisture. Rebar is added for structural integrity. Lastly the 4″ concrete slab is poured and finished. 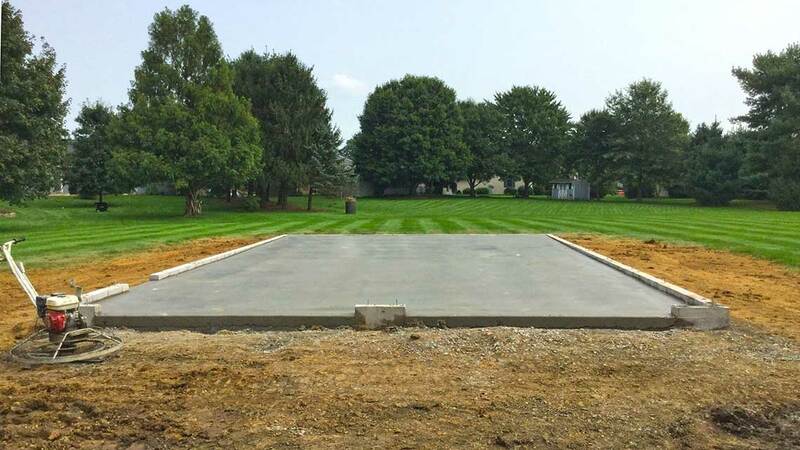 A graduated slab concrete foundation used for sheds or other structures. First we excavate the site and dig a trench with a 12″ to 18″ thickened edge. 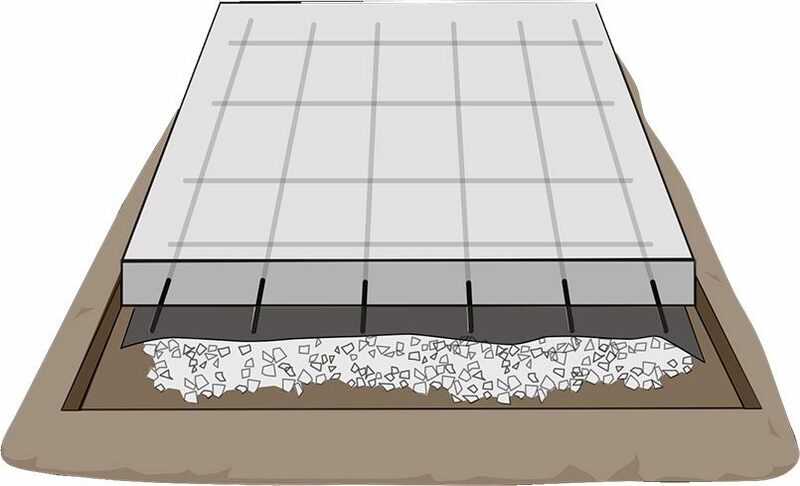 A 4″ gravel base is then installed for drainage, a vapor barrier to eliminate moisture, and rebar for structural integrity. Then a 4″ concrete pad is poured and finished.